GeoSolve provides professional environmental, geological and hydrogeological services. We specialize in environmental assessment and remediation, mineral resource evaluation, erosion control, and groundwater evaluation. Nevada County's premier linen supply company. Transform your event into an elegant affair with table linens, chair covers, sashes and overlays. We offer an array of colors and can help you create the ultimate look for your special event. 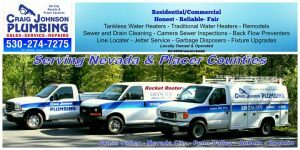 For quality service in the Grass Valley/Nevada City area, call Craig Johnson Plumbing & Rooter Service! We offer comprehensive plumbing services that are designed to meet your needs and stay within your budget. Our goal is to come up with the best solution for your plumbing needs. Voted BEST PLUMBER in Nevada County for the last three years, we go above and beyond for our customers. Full service plumbing - from leaky pipes, water heaters, drain & sewer cleaning. 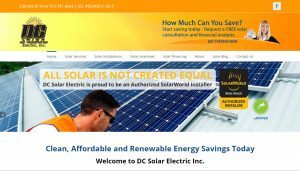 DC Solar Electric, Inc. offers all American Made products, lowest prices guaranteed, and a lifetime warranty on your system!